Near to the hamlet of I Marmi, this completely renovated farmhouse, with wonderful views over the vineyards and to the Island of Montecristo (Oglasa), is now used as a centre for wine-tasting (by appointment). 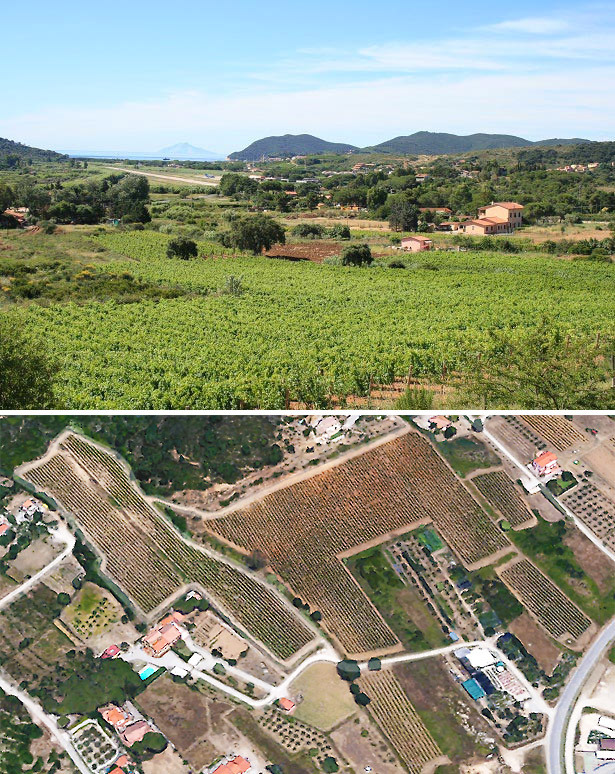 The 3 hectare vineyard grows almost all the most important vines native to Elba (Aleatico, Moscato d’Alessandria, Sangiovese e Ansonica). Podere I Marmi is certainly the pride of the Vineyard.